Xibo for webOS is easy to install and configure and can be up and running in just a few minutes. Xibo for webOS requires Xibo CMS version 1.8.3 or later. To ensure that you are using the recommended Firmware Version for your Series and Model, please refer to our webOS Firmware Matrix. It is vital that the correct date, time and timezone are set on your TV prior to installation. Use the drop down to select the Continent, Country/Territory and City. On the remote control, press and hold the Settings button until a toast message appears in the upper right corner to notify that your input has been received. Enter 8080, and press the OK button to open the Settings Menu. On the remote control, press the Settings button to open the Settings Menu. On the Settings menu, set the following fields (as marked in the above images) to the values provided. This action initiates webOS Signage to download the app from the given URL. 2.2 Auto-Setting with USB-flash drive. Turn on your signage device. The Server Settings defined in the scap_installation.json file will have been loaded onto the device automatically. Insert the USB flash drive to the USB port of your signage device. Enter 8080, and press the OK button to open the Settings Menu . On the remote control, press the Settings button to open the Settings Menu . This action initiates webOS Signage to copy the app from the USB flash drive to the signage device’s local storage. Once completed, reboot the signage device. 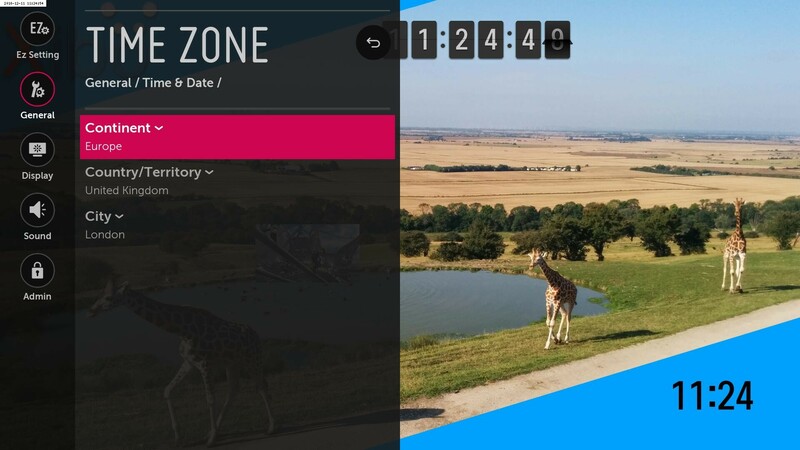 After completing the installation, you need to configure the CMS Address and CMS Key , the Settings screen will open on the first Player start and is also accessible using the top navigation menu. Once you have entered your CMS details, you will see the following message ‘Display waiting licensing approval by an administrator’. 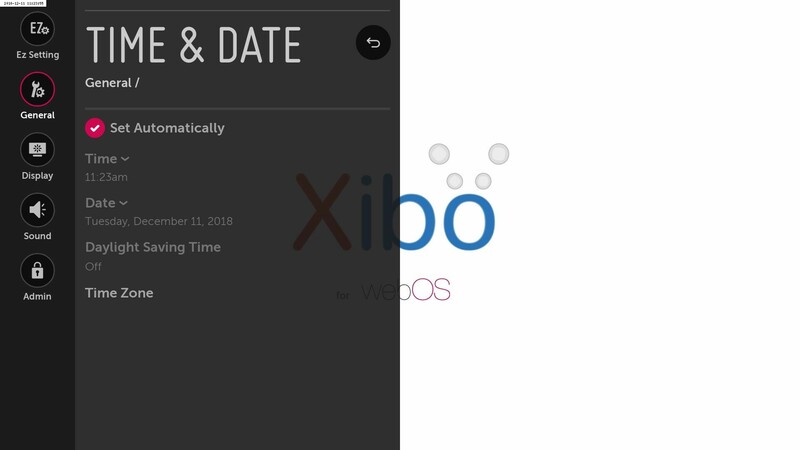 If you already have a Xibo for webOS Licence Pool, enter your Licence Pool email address in that form, otherwise the Player will run on the trial licence, which lasts for 14 days. 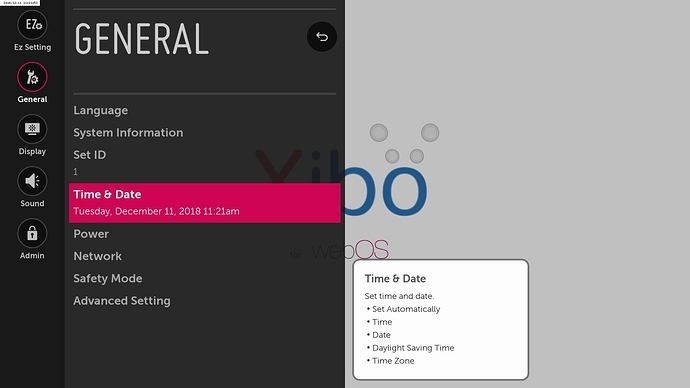 Further adjustments can be made to the Display Profile assigned to your webOS Player as explained on the webOS Display Profile Settings page.